A photograph of a charred tree silohuetted by the aurora borealis. Other sizes and prints are available by request. This beautiful photograph of the aurora borealis is taken shortly after the Fort McMurray Wildfires of 2016. 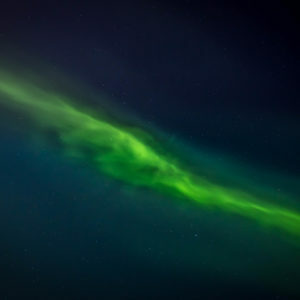 Deep in the evacuation zone the aurora created an arc on the horizon from east to west. 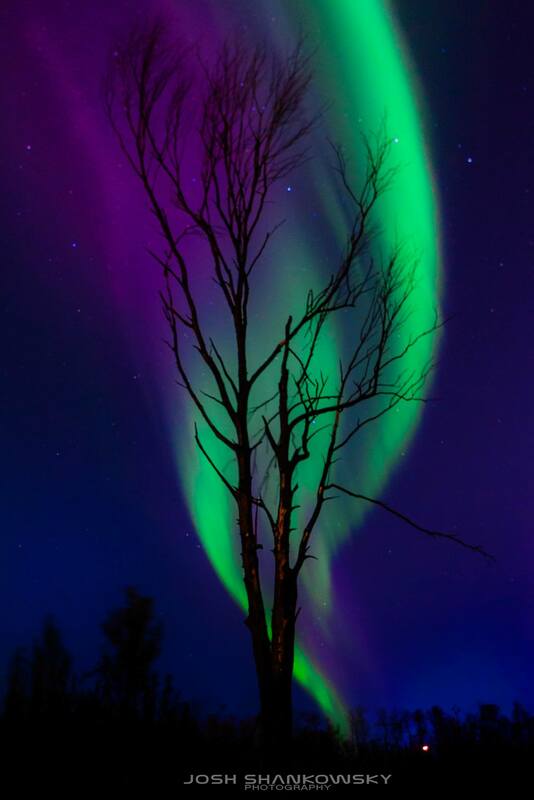 Zoomed in with the charred tree the aurora creates a flame like effect with brilliant hues of green and purple pressed on a blue hour sky. This photo is in someones yard. Once stood many houses now stands a single, lonely tree. Behind it roars a new fire, new spirits, new beginnings. The green and purple flame burns bright in the sky like the spirits of those in Ft. McMurray, With roots firmly planted, those effected stood tall and banded together like a true community. Even in the darkness the light shall always shine.